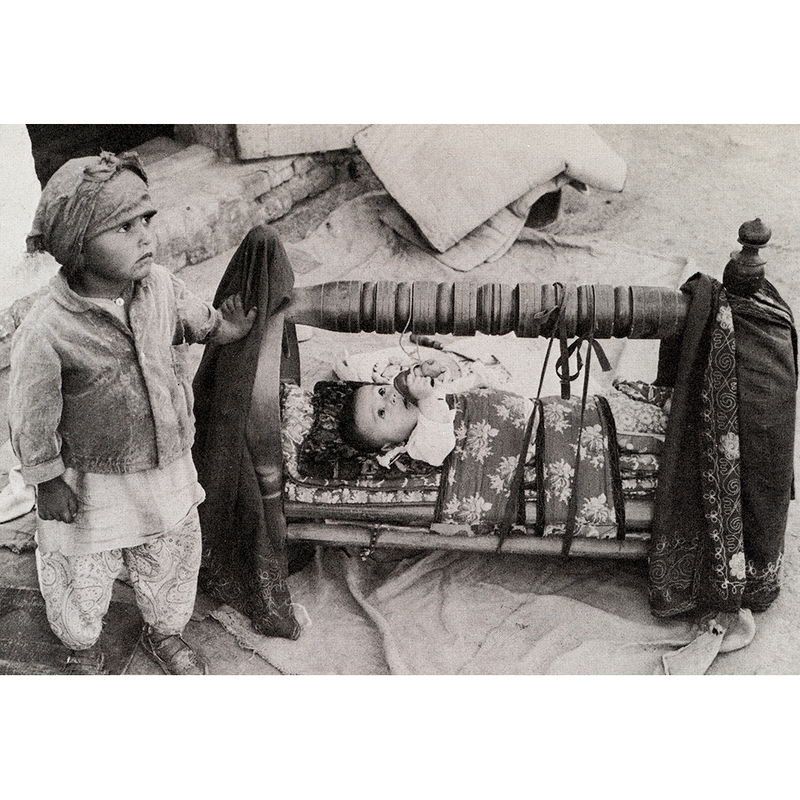 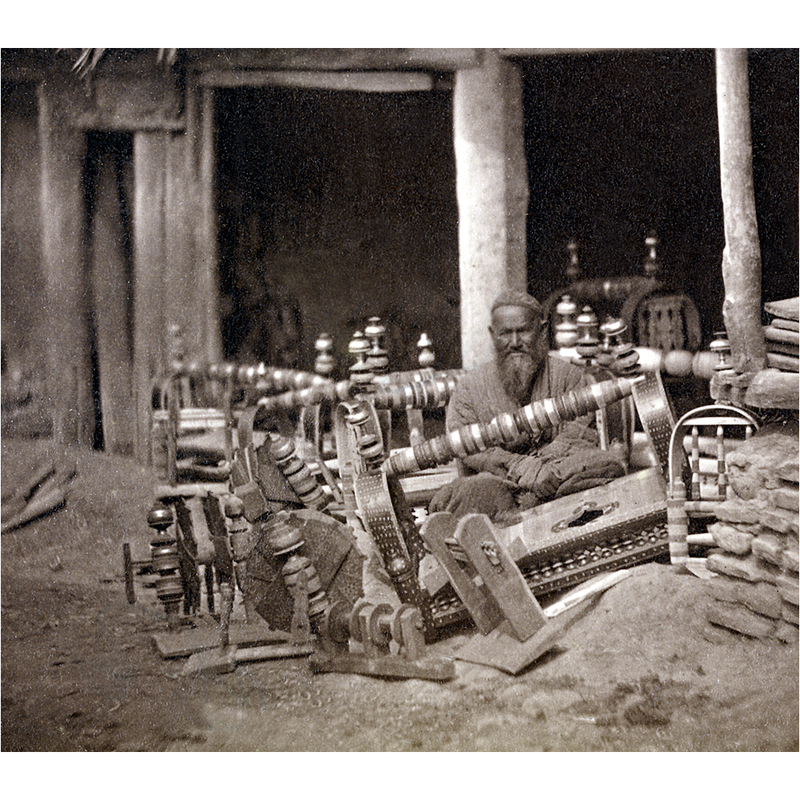 A traditional baby cradle (beshik) was crafted of wood with a horizontal turned handle and a round hole in the bottom. 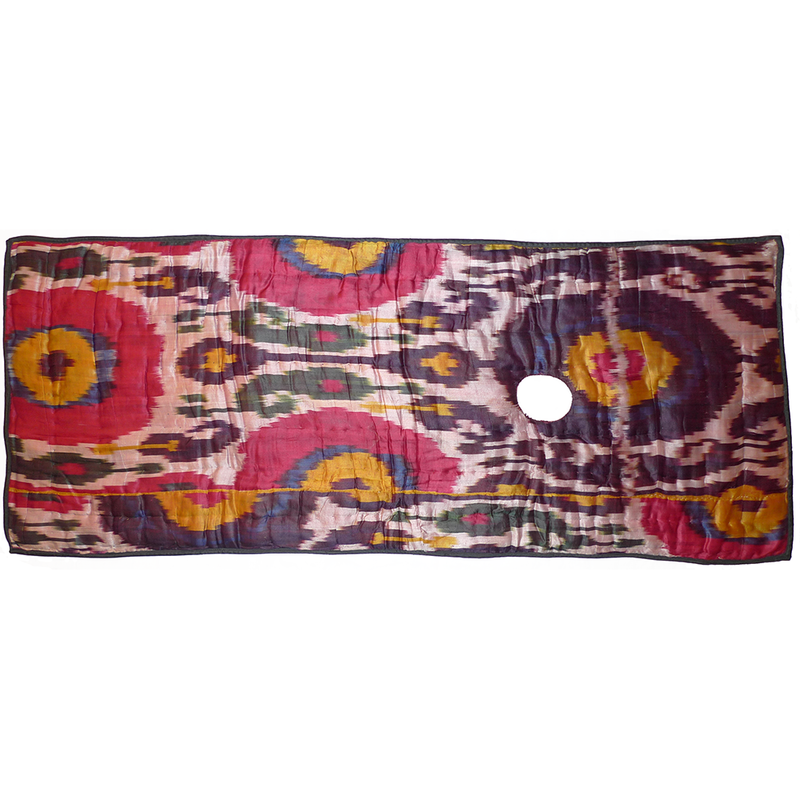 A thick pad with a corresponding hole was laid in the cradle to serve as a mattress. 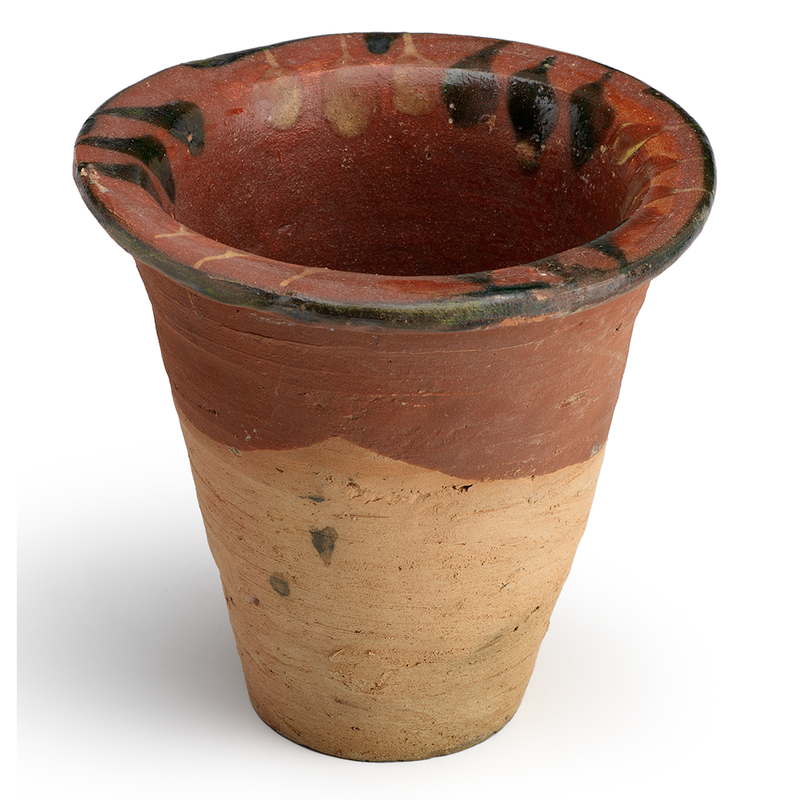 A clay pot (“beshik tuvak) was placed under the the cradle hole to catch the baby’s urine as it was directed into the pot by a clay pipe. 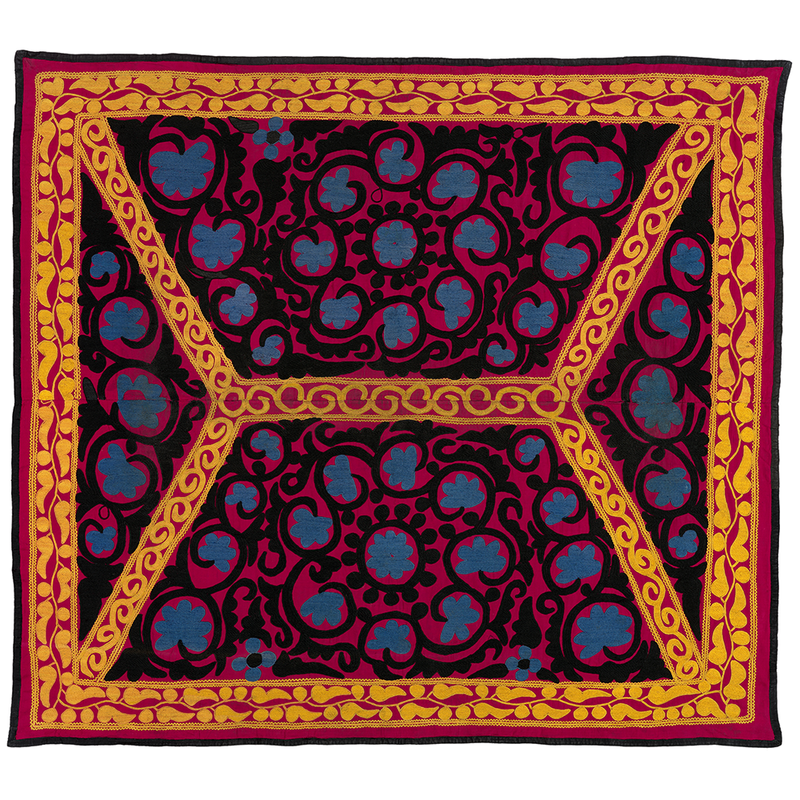 After the baby was swaddled in, a cover (“beshikpush” – see item ATOTTHSC-104, OTHER TEXTILES) was draped over the top rail to keep out drafts, light, dust, insects, and any jealous evil spirits. 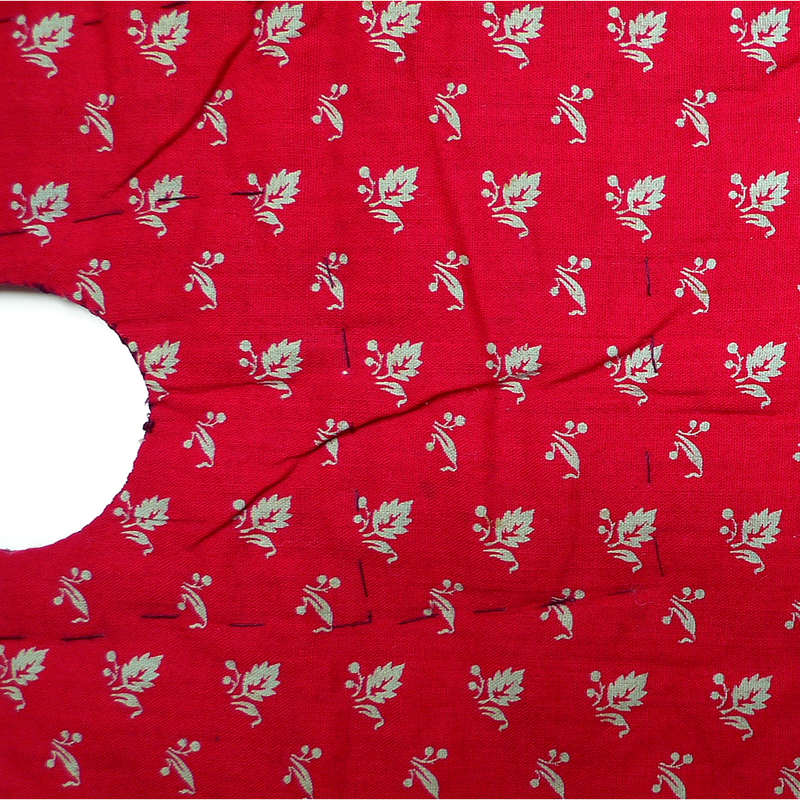 The pattern on the cradle cover was designed to conform to the cradle structure. 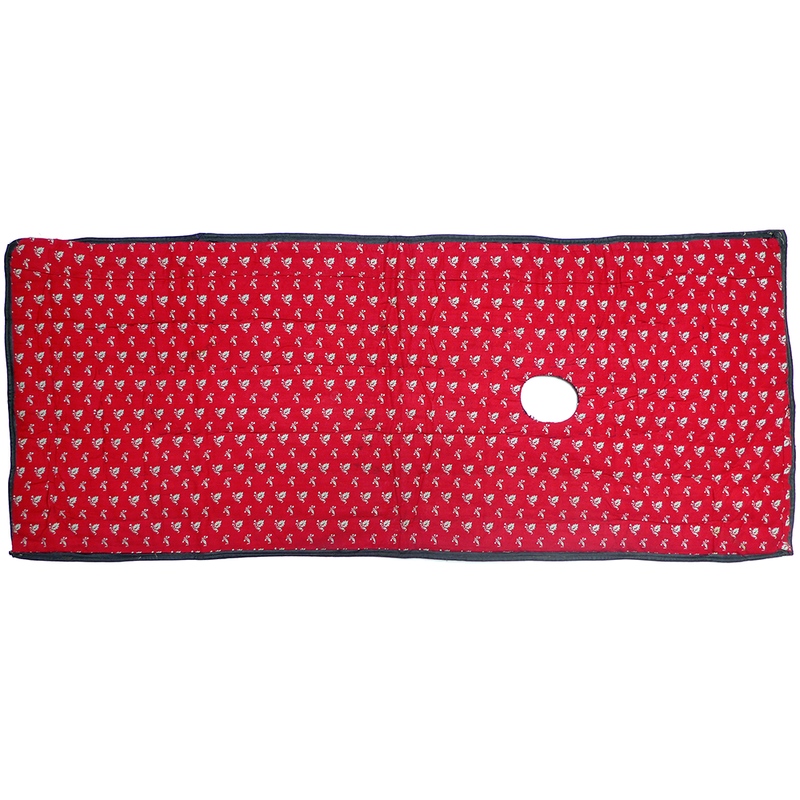 If you are interested in this cradle pad and would like more information please contact Susan Meller.